Channel reporting is available for Producer+ and Enterprise licences. Channel reporting allows you to group events into a single location (or channel) and then run a report to compile of list of statistics which can be used for comparison reports. For further information in how to create channel reports and understanding them, please follow the step by step guide below. 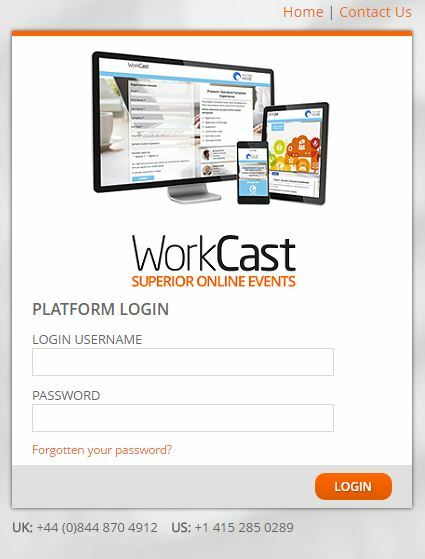 Please login to the platform with the login details supplied to you by WorkCast. To access the WorkCast Platform use the following URL. Enter your user login details supplied to you by WorkCast. To create a channel report, first you have to create a reporting channel that includes all event sessions that you require in a comparison report. 8. 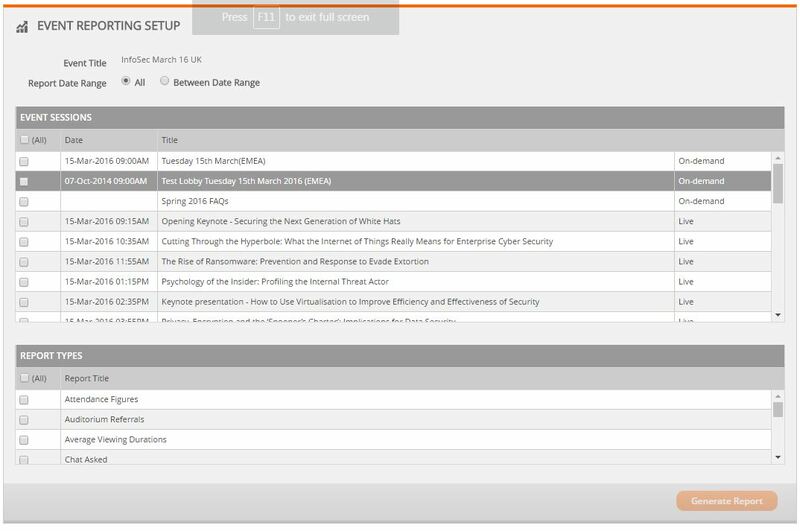 Select all event sessions you wish to include in the report by selecting the check box next to the title of that that event. Once you have created a channel then you can generate the reports that relate to that channel. 4. This will now take you to the channel reporting dashboard. This is where your reports will be generated from. 1. The first thing you will need to do is to select the data range of the report. This can either be all data for all events in the channel or data within a specific range, using the calendar buttons. 2. 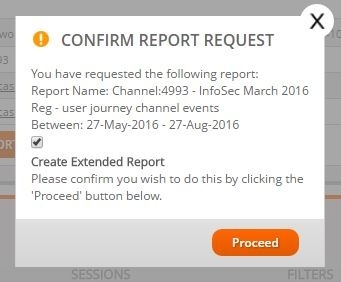 The next step is to select the event session (s) within the channel that you wish to generate a report for. This can be chosen by clicking on the select all check box, or by selecting individual events by checking the boxes that apply to those events. 3. Next select what report types you wish to generate from the list in the Report Types Table. Either select all or select the reports that are applicable for the report. 4. Once you are happy you have selected all the reports required, please click on the Generate Report button. Once the Generate Report button has been clicked all report types selected in the reporting dashboard will appear for you to view. The reports can be displayed in a number of formats which can be changed by selecting the appropriate radio button. 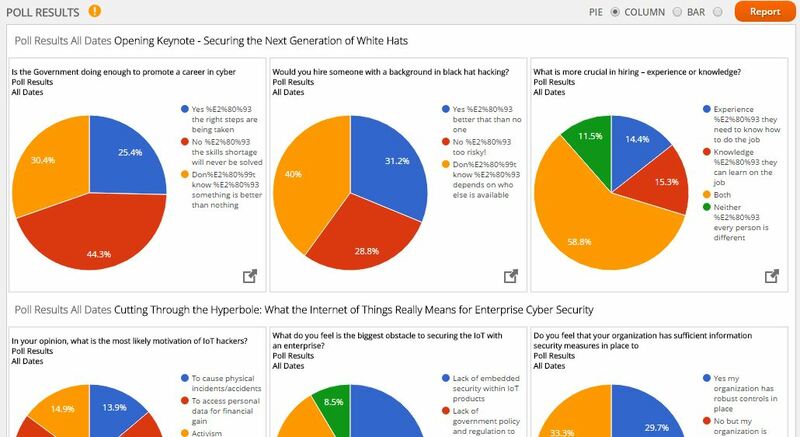 For the examples below, column charts and pie charts have been selected. To generate a spreadsheet for any of the reports generated, just click on the report button to the side of the graph. This will generate a view only spreadsheet and a downloadable CSV file which can be edited once downloaded. Shows the number registered vs number attended statistics for all event sessions chosen. Shows a breakdown of referrers for the auditorium. Shows the average viewing durations of each event session. Shows the number of hits on the data capture form along with the number of registrations. Shows a breakdown of referrers for the data capture form. Shows the number of documents and links that have been clicked from within the auditorium. If there are graded polls within the event sessions the pass results of these polls will be displayed in this chart. Shows the known vs anonymous attendances and sessions for each event session. Shows the poll results for all event sessions selected. Shows the duration time for each presenter. Please note that the 'Presenter Switching' functionality within the presenter console needs to be used to populate these figures. Shows the number of questions asked as well as how many of those questions have been answered. Each of the mentioned reports will allow you to generate an individual report for that section by clicking on the report button of the graph you are looking at. However, if you wish to have all the information in one Excel document, rather than multiple documents, you require a user journey report which can be generated by following the steps below. 2. 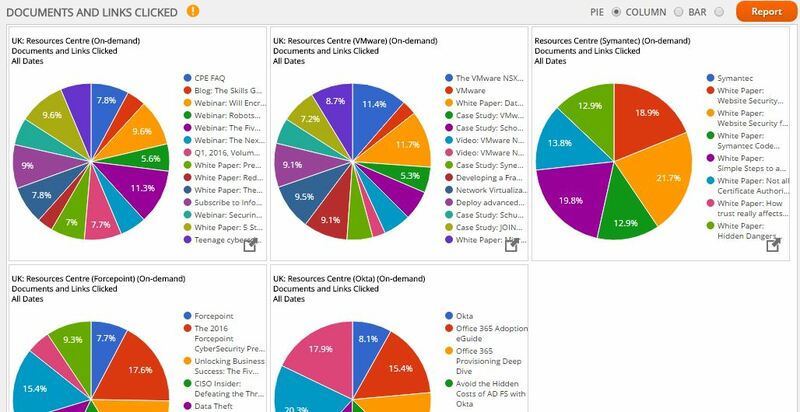 Select the reporting channel that requires an extended User Journey Report. 3. Click on User Journey Report button. 4.The pop up below will appear. Click on the check box that states Create Extended Report. 6. The platform will then take you to the Report Tab. 7. The status of the report will be pending and will have a red cross next to it during the time it takes to generate the report, typically 24 hours. 8. You will have to log back into the account 24 hours after generating the report to view or download the details. 9. After 24 hours, the red cross will be replaced with a green tick and a download button will appear. This will allow you to download the document into an Excel document format. 10. Please note that two excel documents will be available. The first document will be the Channel Event Activity Report and the other will be the Channel Events Report.